Gov. 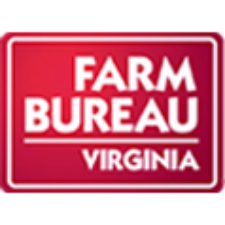 Terry McAuliffe will join the 2014 Virginia Farm Bureau Federation Annual Convention to discuss the important roles Virginia agriculture and forestry play in the state’s overall economic prosperity. The convention will be held Dec. 2-4 in Hot Springs. During the Dec. 3 general session, McAuliffe will speak on “Agriculture and Forestry: Key Drivers in Building a New Virginia Economy.” He will discuss his plans for further domestic development in the agricultural and forestry sectors and how he wants Virginia to be the East Coast capital for agricultural and forestry exports. In addition to learning about promoting agriculture exports, convention participants will have an opportunity to learn how to promote agriculture education in their communities. A workshop titled “Growing Agriculture Education in Your County” will focus on ways to develop all-encompassing plans for promoting ag education in elementary school through high school. The workshop is one of two that will be offered to more than 800 Virginians attending the convention. A second workshop, “Behind the Numbers: The Structure of Agriculture Today,” will feature analysis of findings from the 2012 U.S. Census of Agriculture. The convention theme is “Farming for the Next Generation,” and among rising generations of Virginians are youth who will need an understanding of agriculture and how it touches their lives. The agriculture education workshop will present examples of how some localities have re-established agriculture education programs in their middle and high schools, and how 4-H programs can complement school programs. The workshop will be led by panelists Tammy Maxey, senior education program coordinator for Agriculture in the Classroom; Sarah Scyphers, an agriculture teacher at Holston High School in Washington County; Dr. Paige Pratt, a Virginia Cooperative Extension youth specialist; and Martha Moore, VFBF vice president of governmental relations. About 300 Farm Bureau farmer members will represent their respective county Farm Bureaus as delegates to the convention. Those delegates will help shape VFBF state and federal policies for the coming year and will elect officers and directors.